Call for Guest Editors. 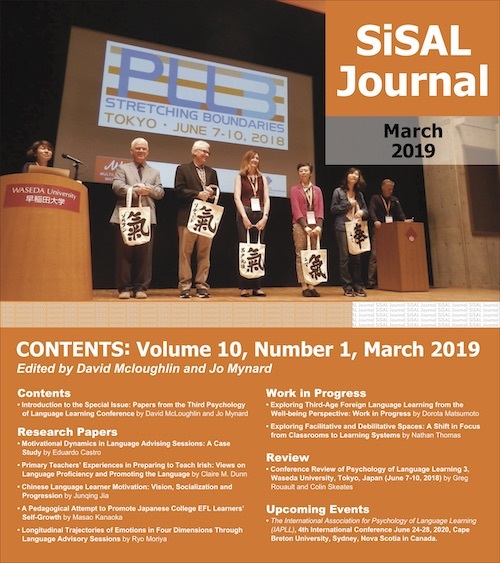 Invitation for guest editors for new multilingual column in SiSAL Journal. Read more.. Event. Save the date. The Japan Association on Self-Access Learning (JASAL) Annual Conference 2017 will be held at Kanda University of International Studies in Chiba Japan on 16th December. Photo credit: Rob Stevenson, Kanda University of International Studies, Japan.